I finally grabbed my phone to take some pictures on Friday. 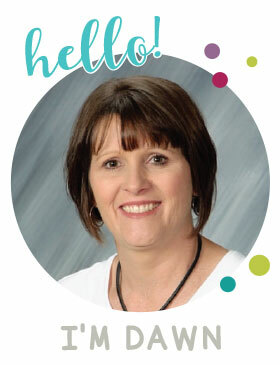 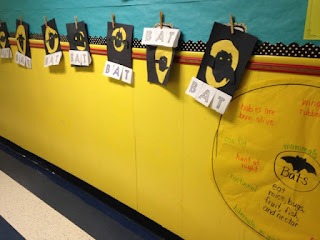 I thought you might like a peek into our week and maybe it might spark an idea or two that you could do with your students. 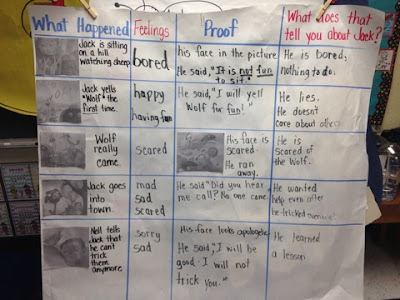 We have been learning about character's feelings in reading this week. 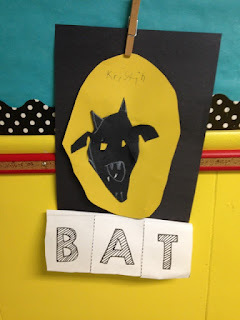 We've been reading "Jack and the Wolf." 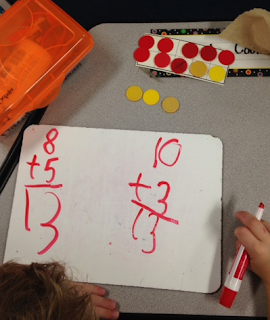 Below is an anchor chart we did together at the carpet. 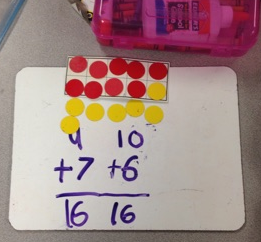 I had the skeleton of the chart filled out before we met (all the things you see on the left and top of the chart were done by me before this lesson.) The students themselves came up with what to put in the boxes. 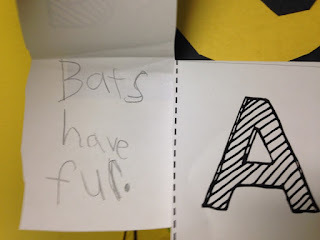 I also had a copy of the story in my hand and we turned to that page and discussed it before deciding what we wanted to write in the box. 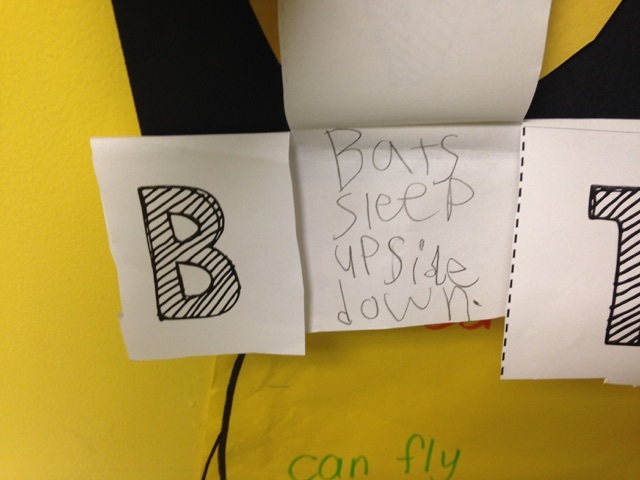 We've also been learning about bats this week in our ELA block. 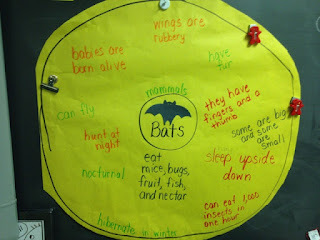 On Monday, we read some nonfiction books about bats to build our schema. We then made a class circle map listing some facts we learned. On Tuesday, we wrote 3 bat facts in our bat flapbooks. 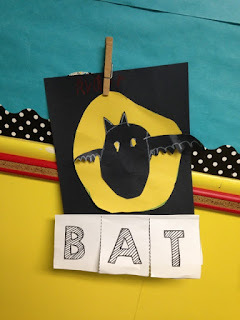 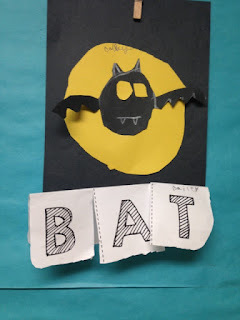 And then on Friday, we finally made the bat craft that we attached our flapbooks to.